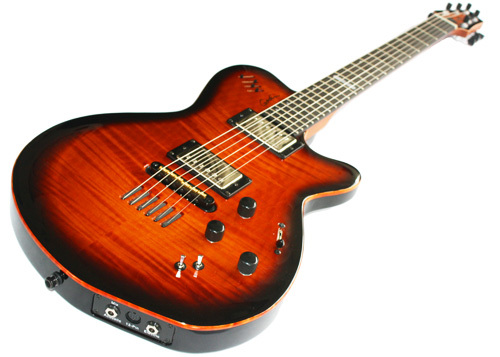 The Godin LGX-SA frequently shows up at the top of guitar players “desert island guitar list” because is excels in areas of versatility, playability, and build quality in ways that few other guitars can compete with. 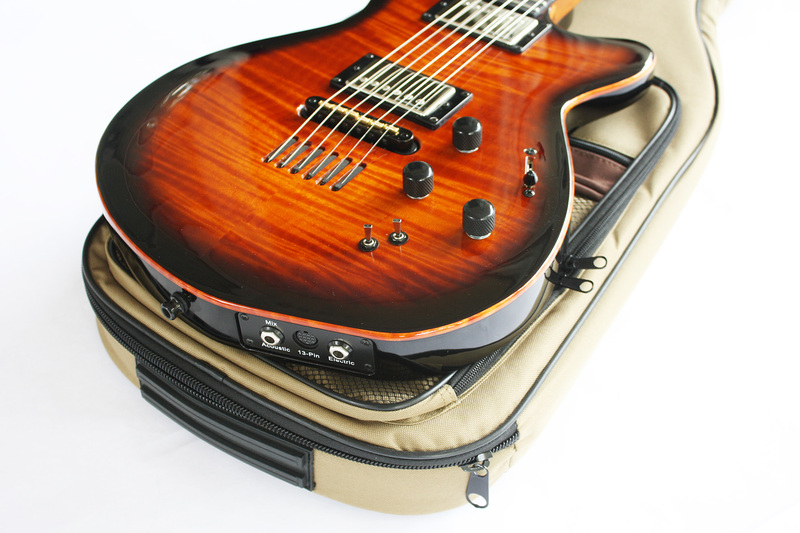 The LGX-SA is the flagship guitar of the Godin synth access, or SA series. 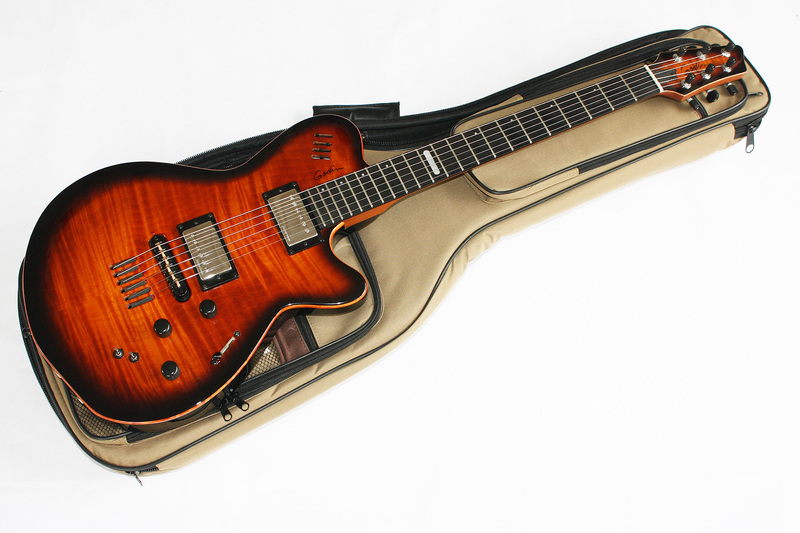 The LGX-SA features a Honduras Mahogany neck and body, ebony fingerboard, and figured maple top. This 25 1/2” strat scale guitar has three distinct output sources: Seymour Duncan humbuckers, a RMC piezo system with 3 band active equalizer, and a 13-pin Roland guitar synthesizer output. Right off the top let me say that hands down, my favorite feature on this guitar is the neck. 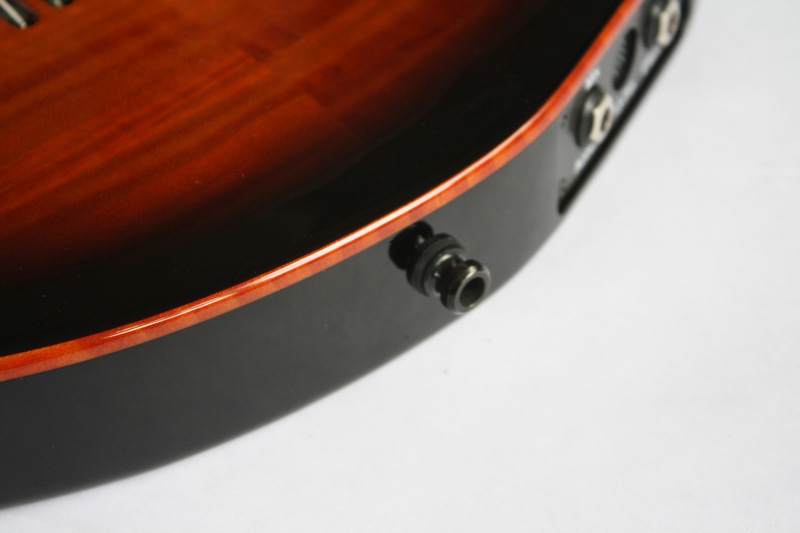 Regardless of whatever bells and whistles a manufacturer adds to a guitar, all the action takes place on the neck, and for the me, the LGX-SA neck is exceptional. 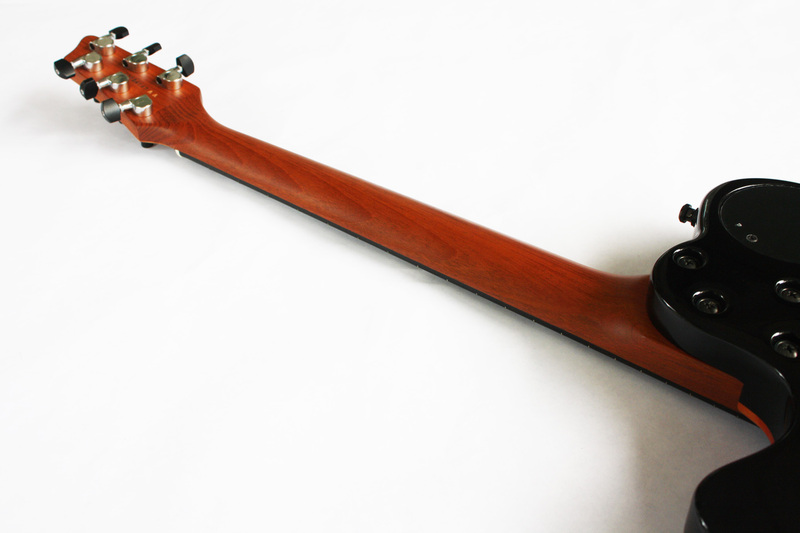 The neck is mahogany, with a natural satin type finish. I prefer necks with a natural finish. 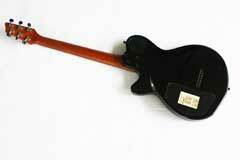 Somehow glossy lacquered necks do not feel as organic, and can cause problems if you sweat a lot when you play. The 16” radius is also “just right” in my book. I found that super thin necks are fun at first, but can fatigue me because the extra effort to keep my hand in the right shape when playing for hours. 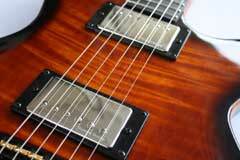 If a neck is too chunky, like a baseball bat, I have a hard time getting my fingers to the frets as well. The LGX-SA reminds me of my favorite Strat necks, with just the shape and contours for me to comfortably play for hours. 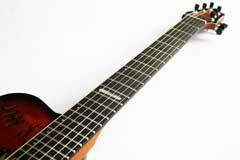 The Ebony fretboard with medium nickel frets is the right choice for a guitar with a synthesizer output. 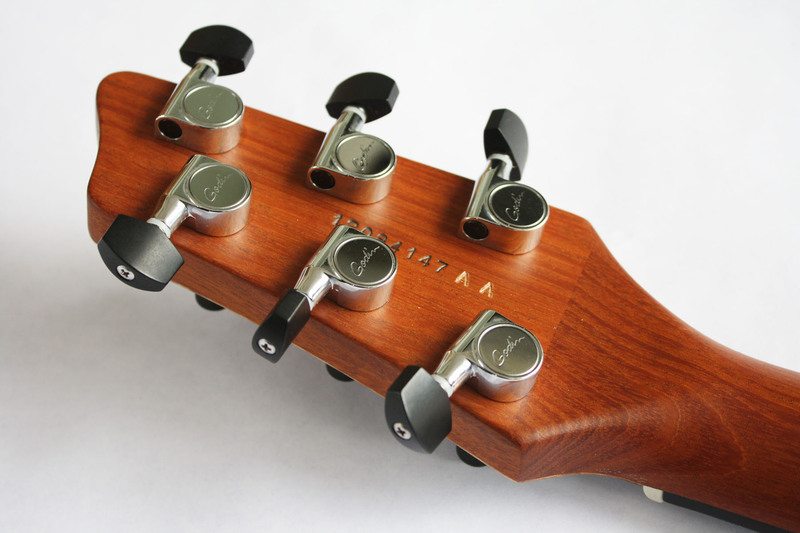 The density of the wood grain and tight pores give the ebony neck a slick quality, conducive to fast playing, and a bright, well-defined sound. 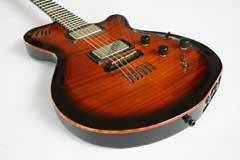 Ebony was also the choice for the premier 1980s guitar synth controllers, the Roland G-808, and the Ibanez IMG2010. 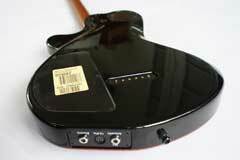 Any guitar with an ebony neck is going to be a step above in playability, but the ebony also imparts a clarity that helps with synthesizer tracking as well. 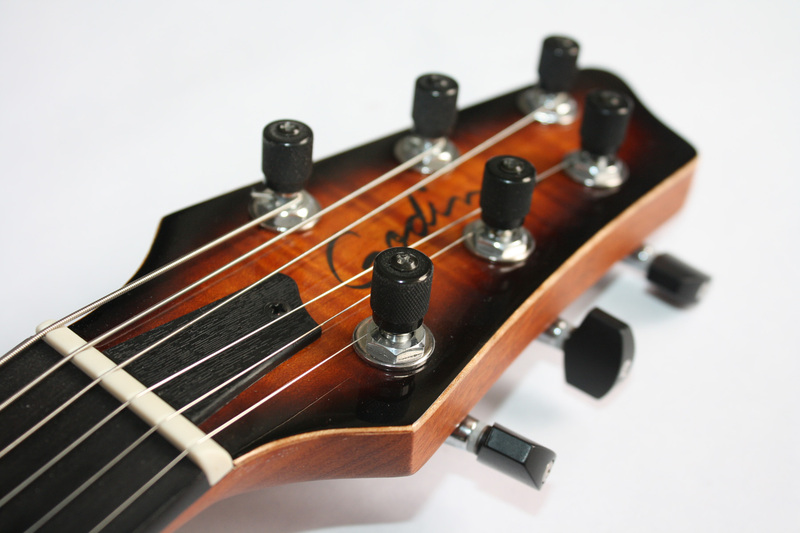 Topping off the neck is a 1 11/16” Tusq nut by Graphtech, and front loading, locking tuners for positive intonation and quick string changes. 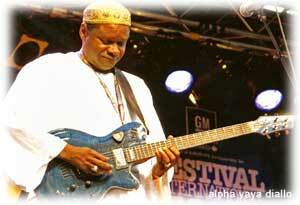 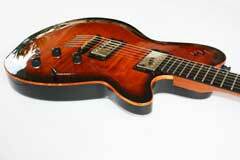 The body on the guitar is also mahogany, with a beautifully figured maple top. The guitar shown here is a LGX-SA AA, in the cognac burst finish. 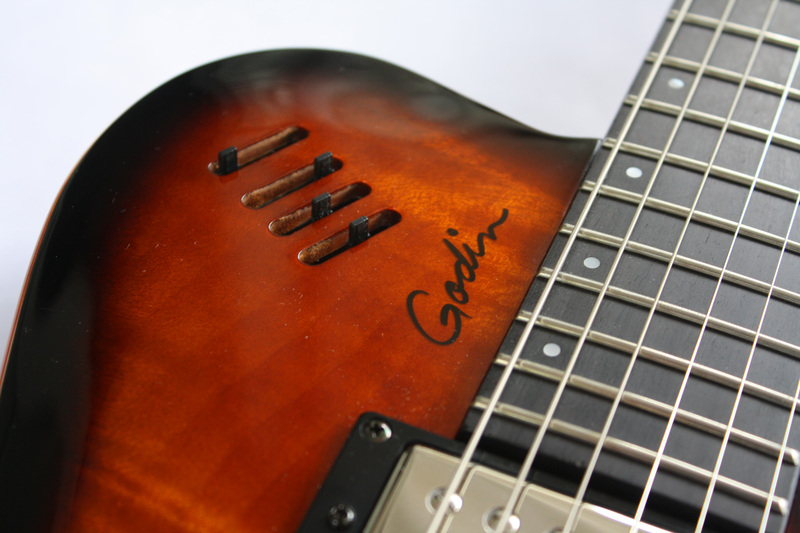 Incidentally, the “AA” on this guitar, and “AAA” on other Godin guitars indicated the judged quality of the figuring on the maple top. 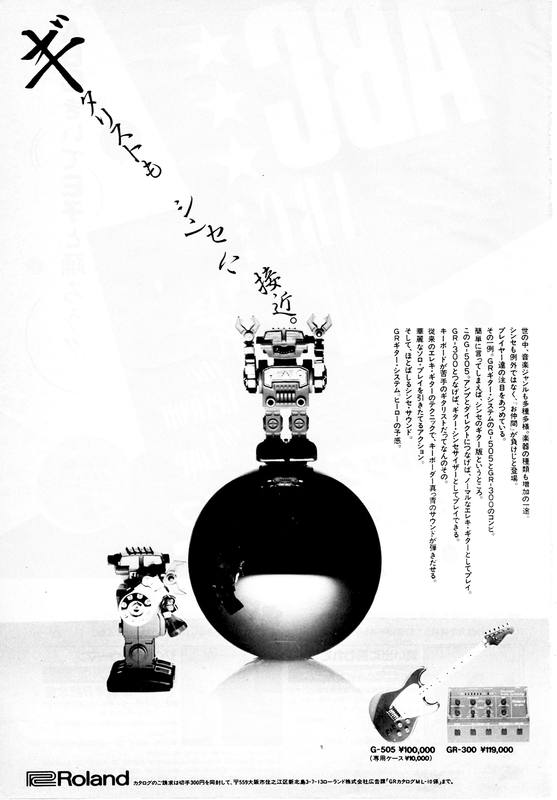 Both looks excellent. 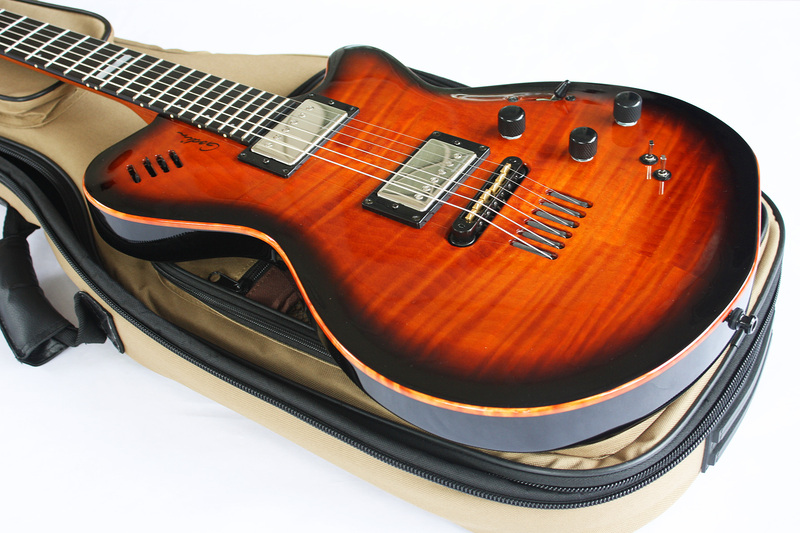 You can see for yourself what a gorgeous finish this guitar has, it is just stunning. 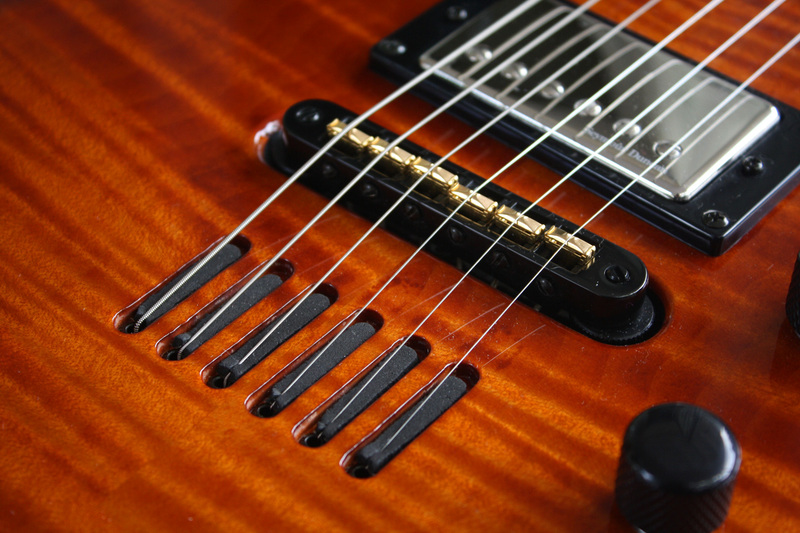 The LGX-SA is already an outstanding guitar based solely on the neck and body, but it is the electronics where the LGX-SA stands apart from almost any other guitar. In the conventional department, the LGX-SA has two sweet Seymour Duncan humbucker pickups: a Jazz Model SH II in the neck, and a Custom III in the bridge. 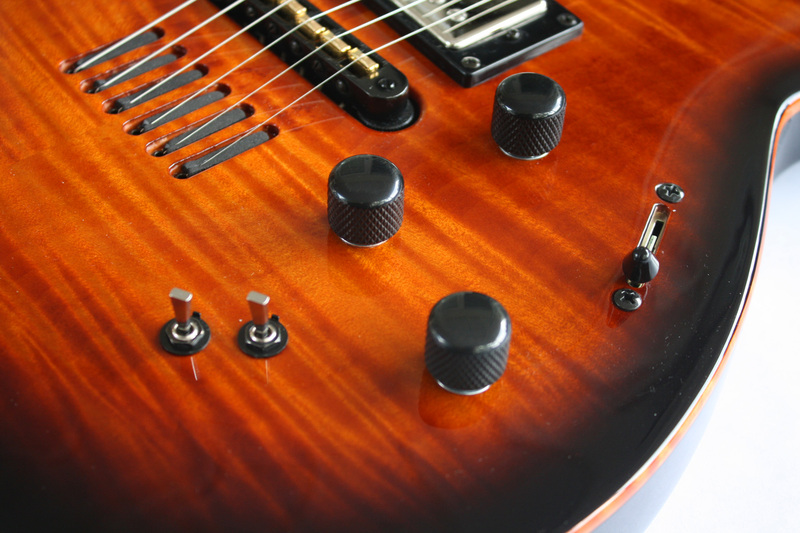 The guitar has a five-way pickup select switch, with a master volume and tone control. 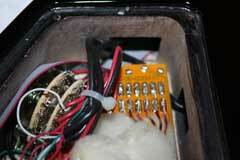 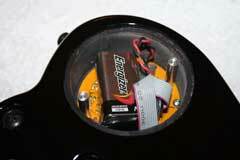 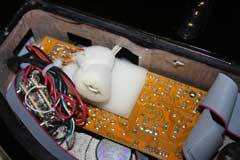 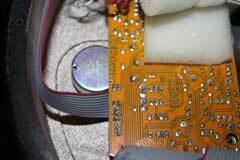 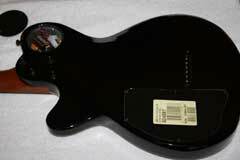 In the upper bout of the guitar you will also find the controls for the RMC piezo pickups. 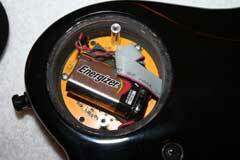 Located in the bridge of the guitar are six individual piezo elements. 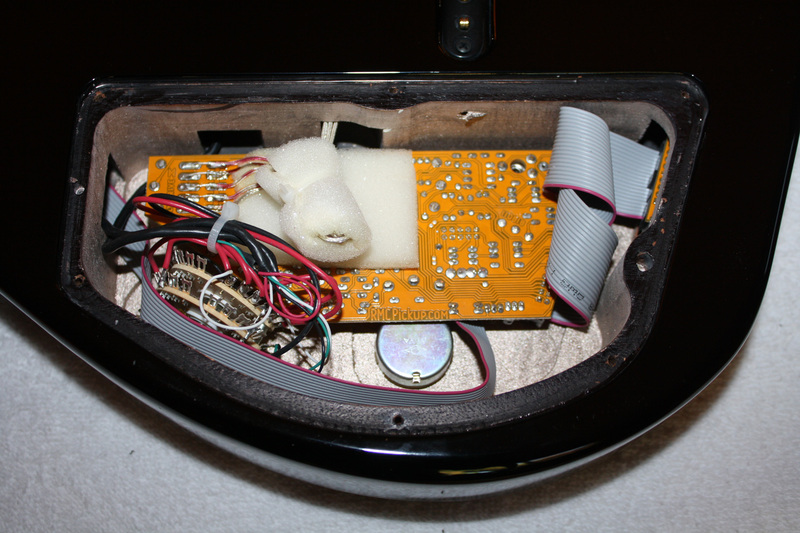 The volume and 3-band active eq controls allow for the ability to shape the piezo sound from a large body acoustic, to a smaller parlor guitar. 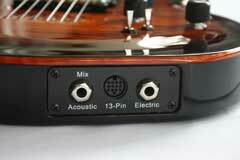 Last but certainly not least, is the Roland Ready 13-pin output. Modern Roland synthesizers like the GR-55, have the ability to model all kinds of electric and acoustic guitars. 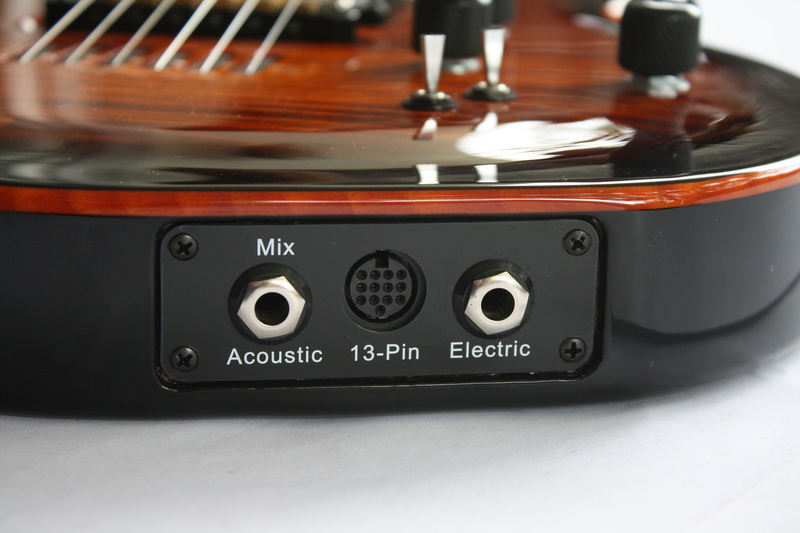 Given that the LGX-SA has both electric and acoustic signals as well, you can see how it is possible to create deep, rich acoustic and electric guitars sounds from just one guitar by combining both the LGX-SA normal output with modeled tones from Roland synthesizers. The ability to combine guitar sounds with triggered synth sounds is the feature that I think makes a guitar synthesizer unique. 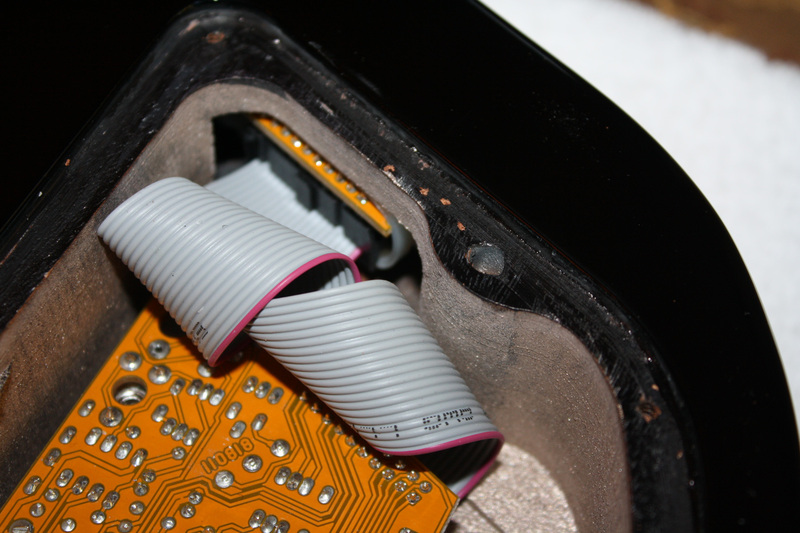 If you only want synth tones, then a keyboard makes for a more reliable and convenient triggering source. 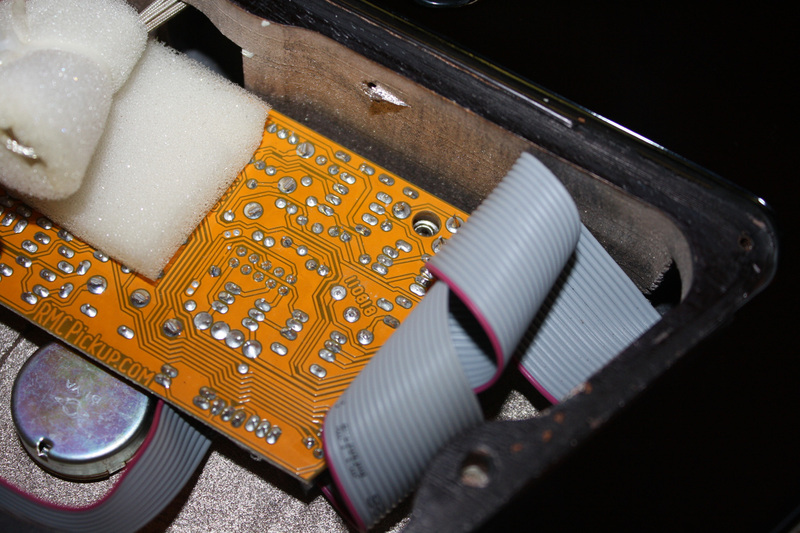 But layering synth and guitar sounds brings something new and valuable to the game. This review highlights these features of the LGX-SA, with an emphasis on showing some of the ways the many outputs of the LGX-SA can be mixed and combined, alone and with Roland synthesizers. 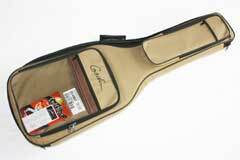 By default, most of the GR-55 factory patches do not use the normal output from your guitar. The exception are factory pacthes Lead 30-1, 30-2, and 30-3. If you want to hear what your normal guitar pcikups sound like through some COSM modeling effects, playing with these three patches are the fastest way to get results. 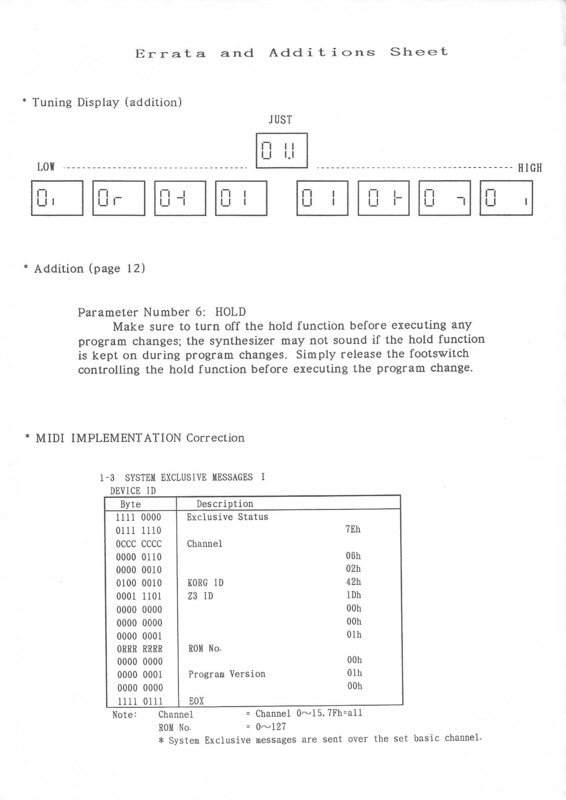 But say you want to work with a patch that does not have the normal guitar sound? This video shows you three examples of different ways to incorporate your normal guitar sound with the GR-55.